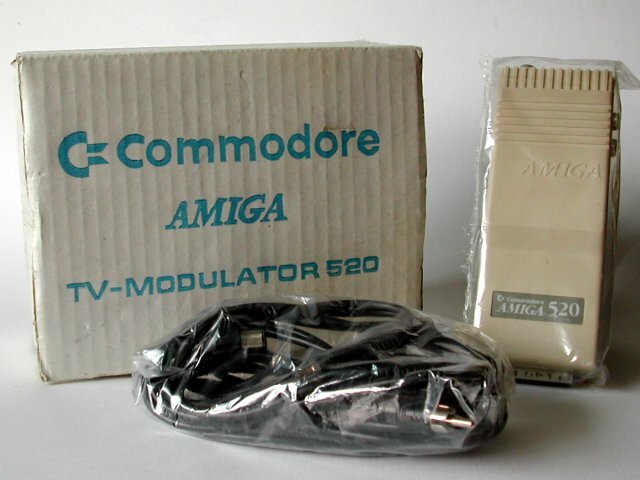 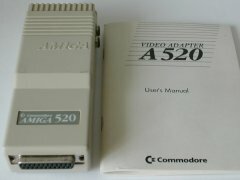 Der Commodore A 502 cartridge is een RF (TV) modulator für den Amiga 500 gemacht durch Commodore. A 520 with original packaging. 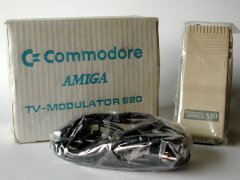 De Amiga A520 TV modulator met handleiding.